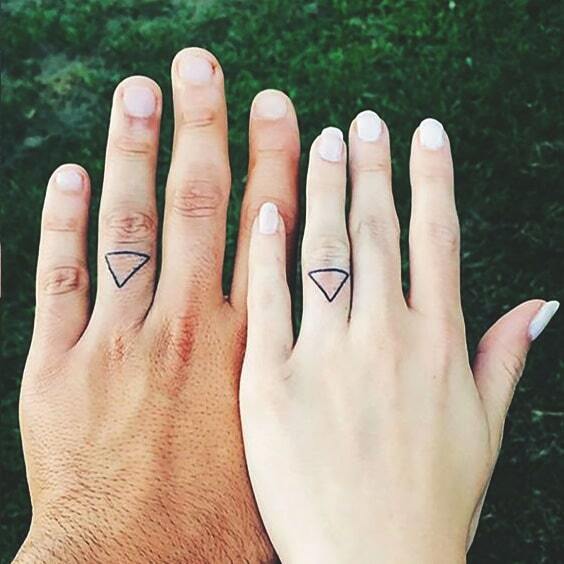 It’s hard to choose a tattoo you’re going to make it alone, and it’s harder to decide the right tattoo as a couple. 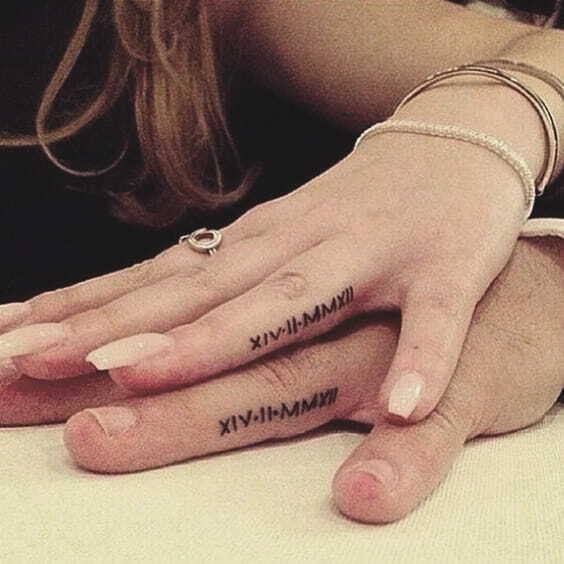 The couples’ tattoos, which are quite common among couples, do not seem to leave popularity this year. 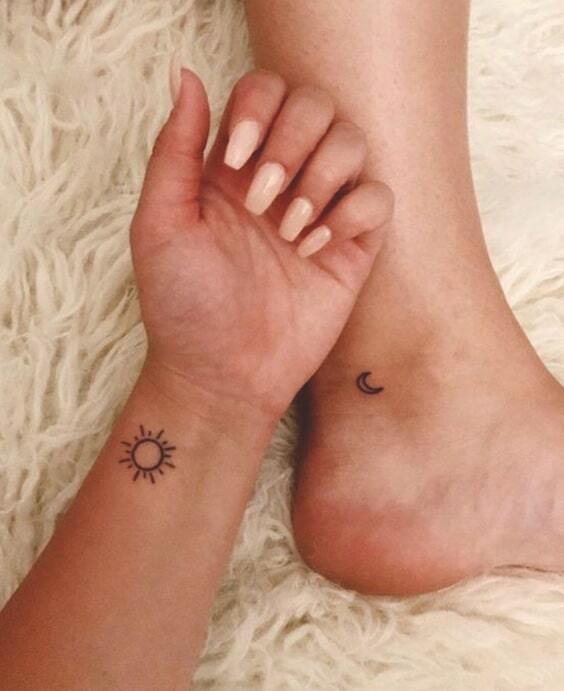 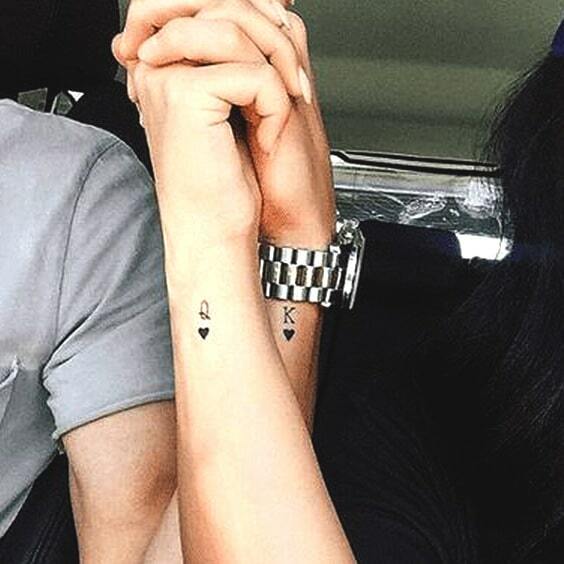 Getting a matching tattoo is also so popular among celebrity couples that we follow closely. 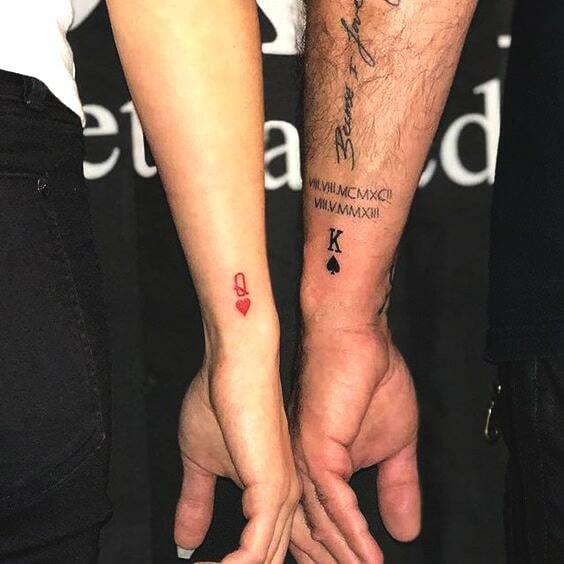 Hailey Bieber & Justin Bieber, Kylie Jenner & Travis Scott, and Miley Cyrus & Liam Hemsworth are just one of them. 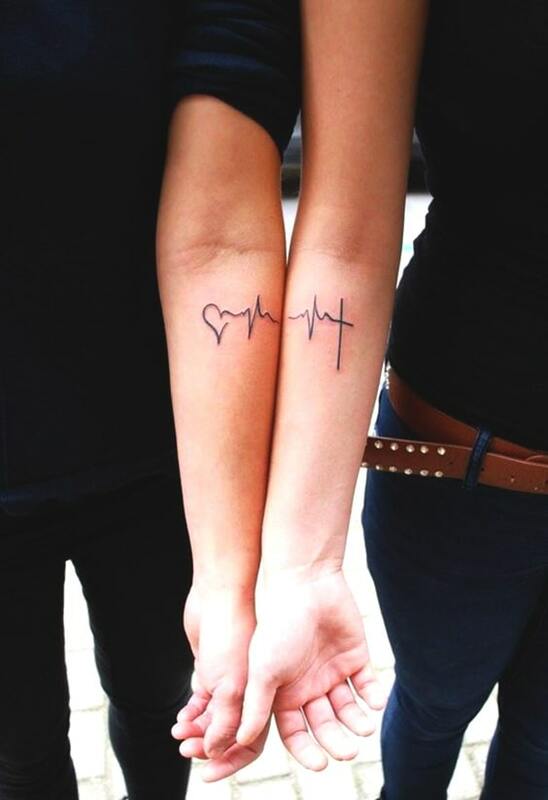 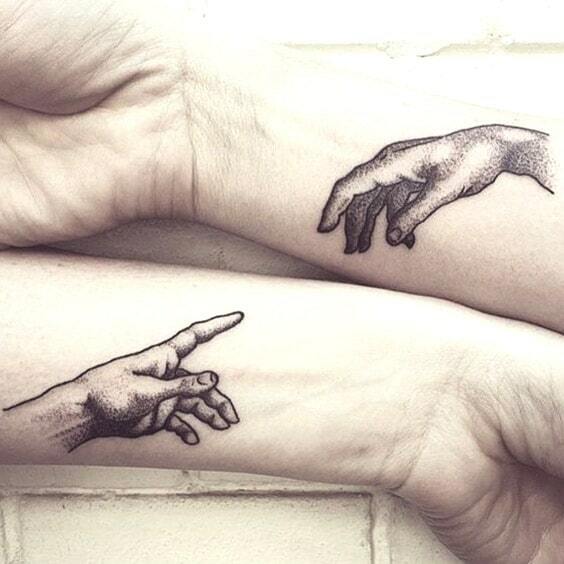 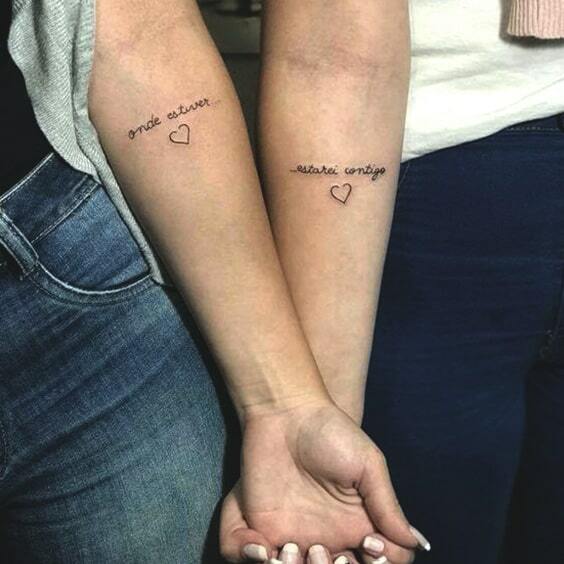 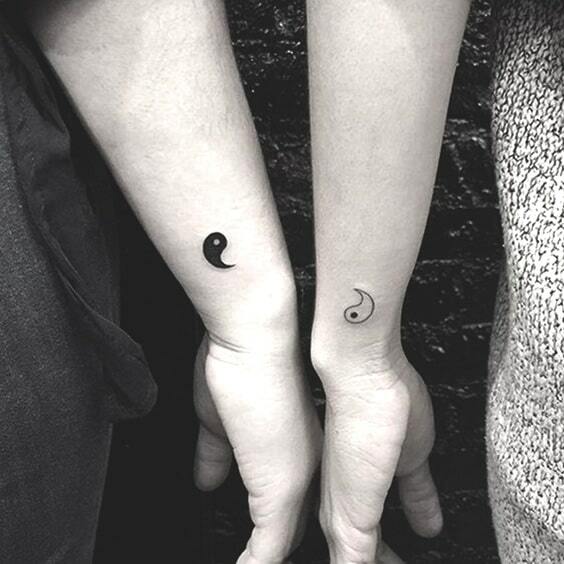 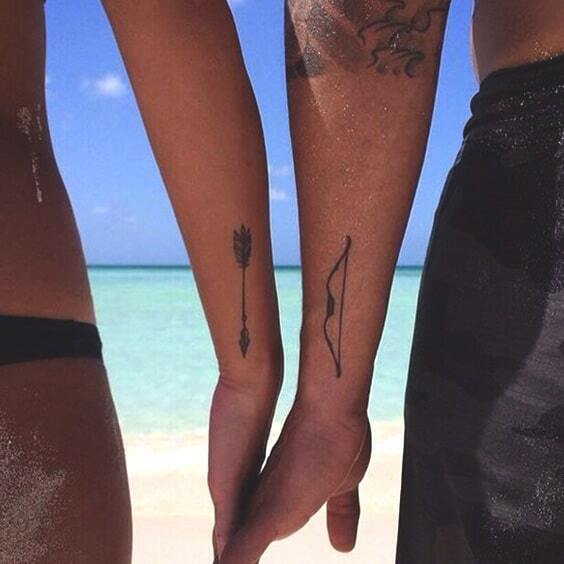 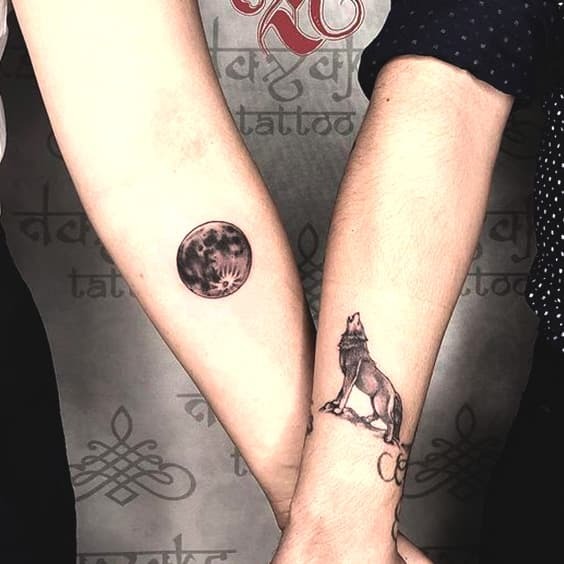 Matching couples’ tattoos can be the most romantic and dramatic way to show your eternal love to the world. 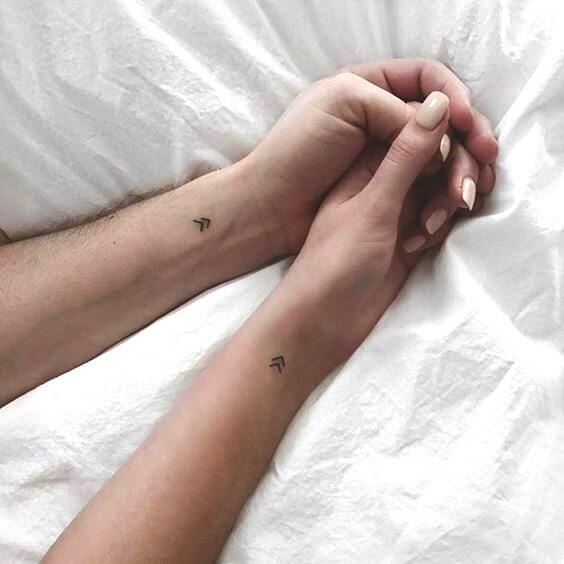 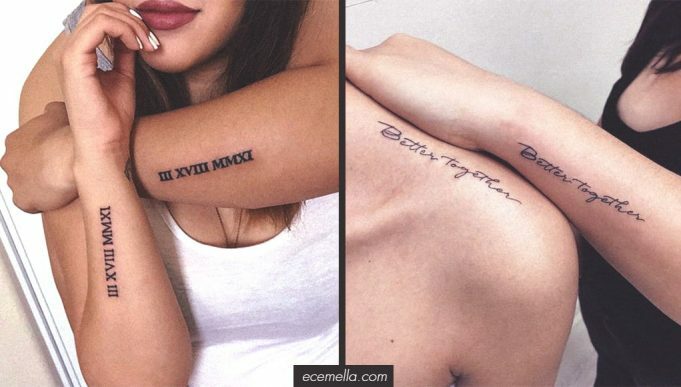 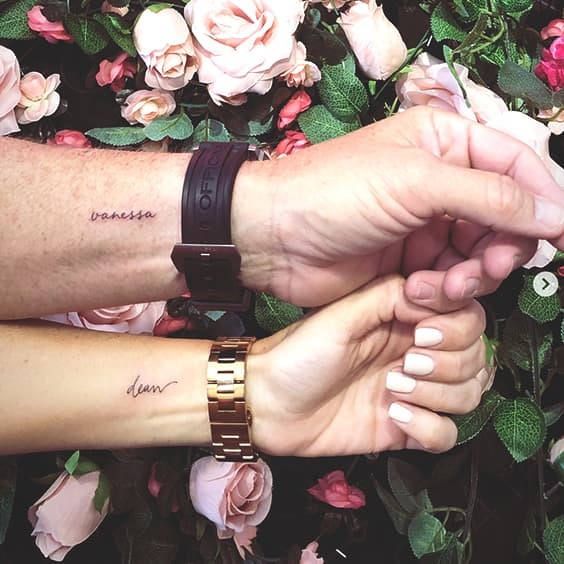 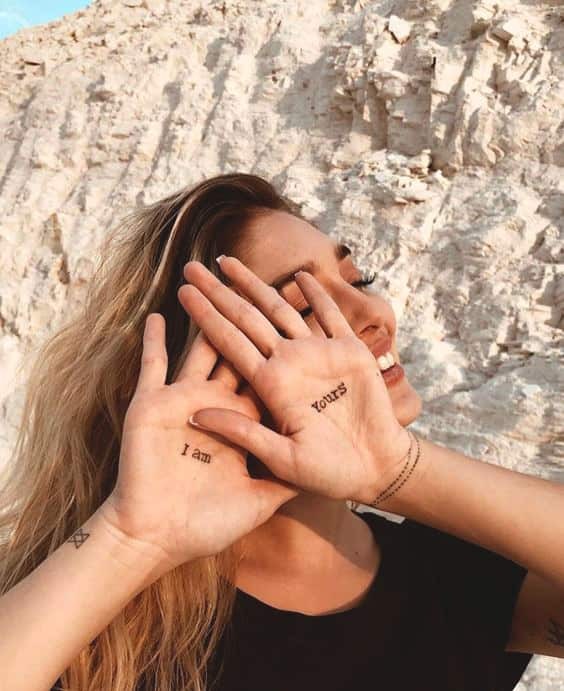 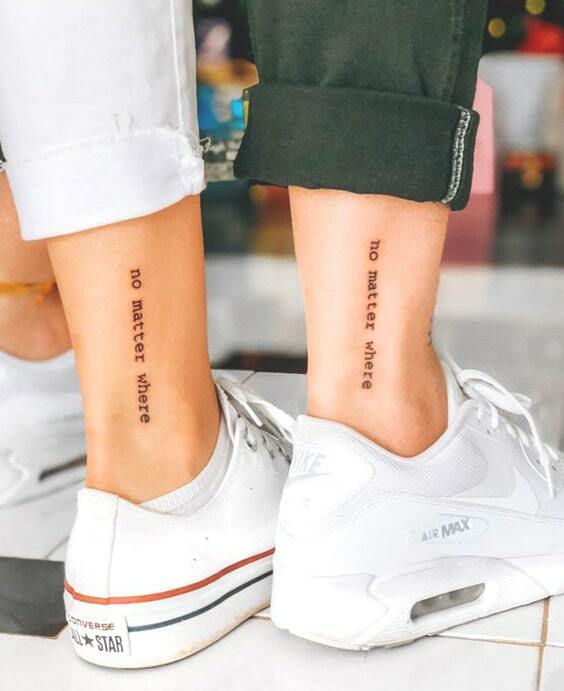 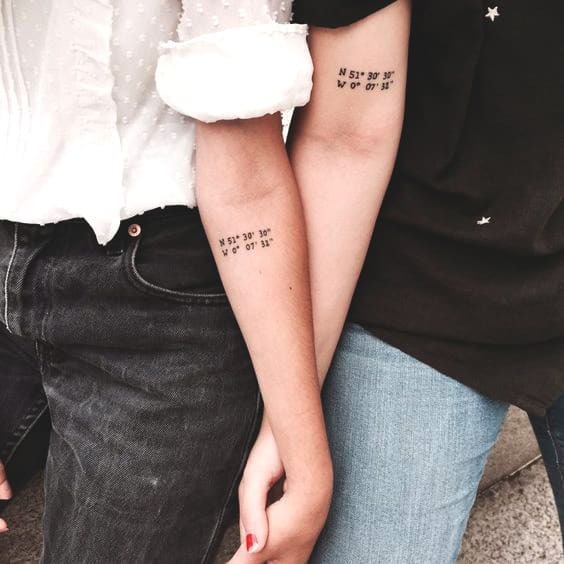 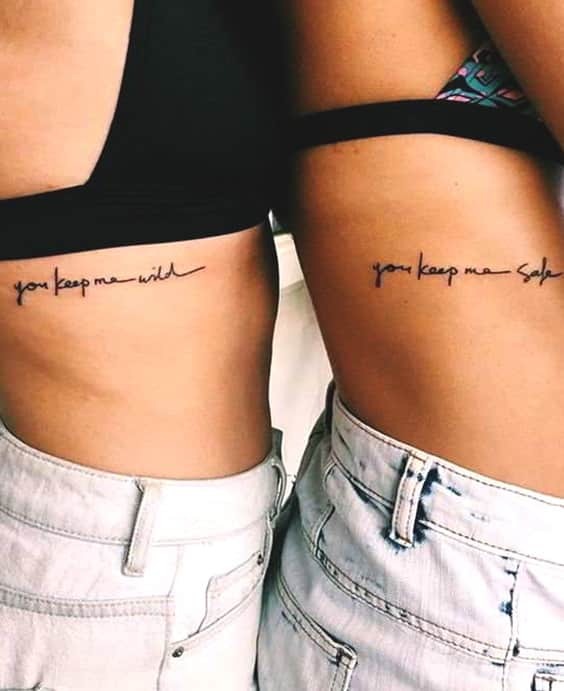 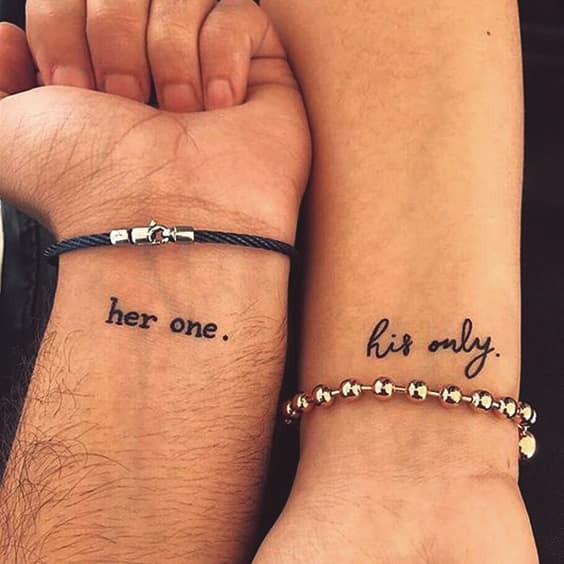 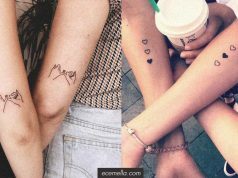 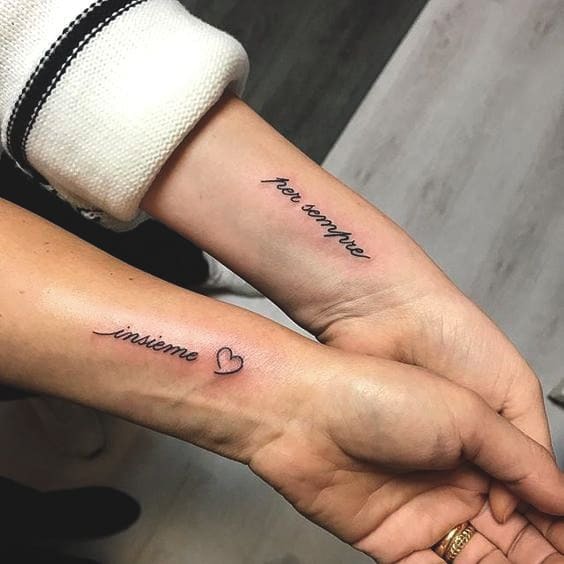 There’re many couples’ tattoo ideas that you’ll fall in love in 2019, for instance, minimal tattoos, quote tattoos, and numeral tattoos. 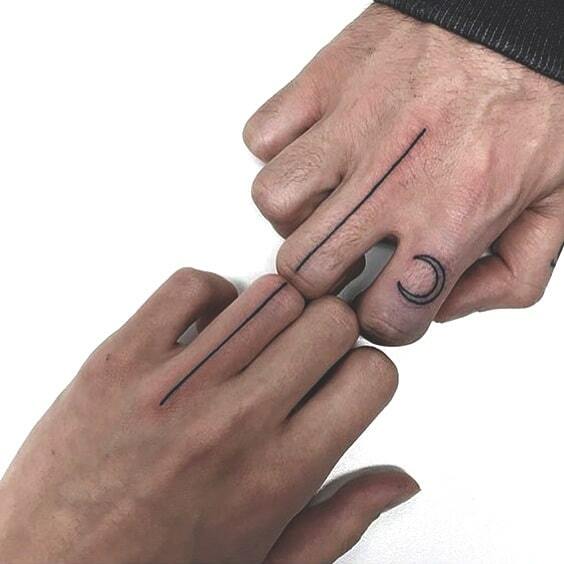 However, you and your partner have to think carefully while choosing your permanent love on your skin. 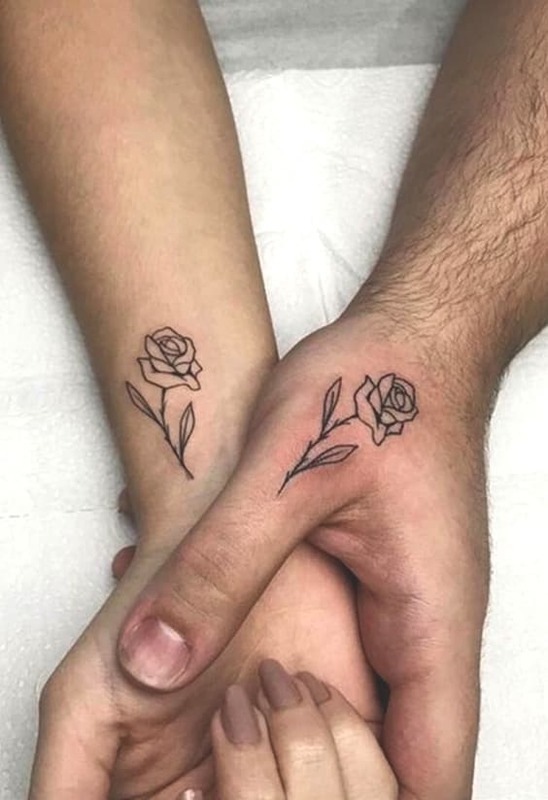 Luckily, we’ve rounded up the best 81 Unique & Matching Couples’ Tattoo Ideas To Try in 2019. 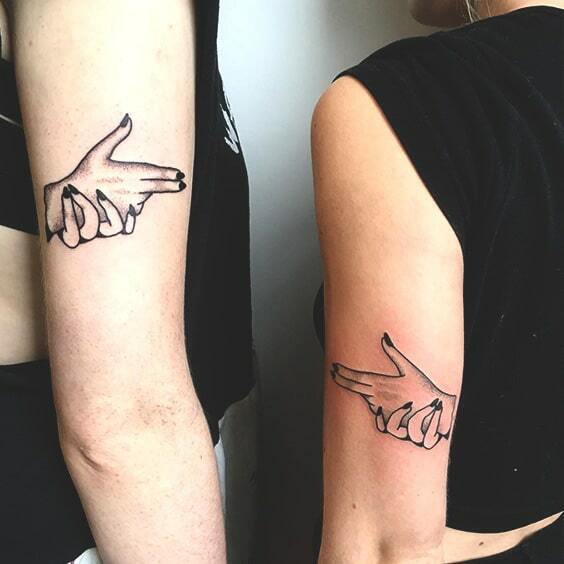 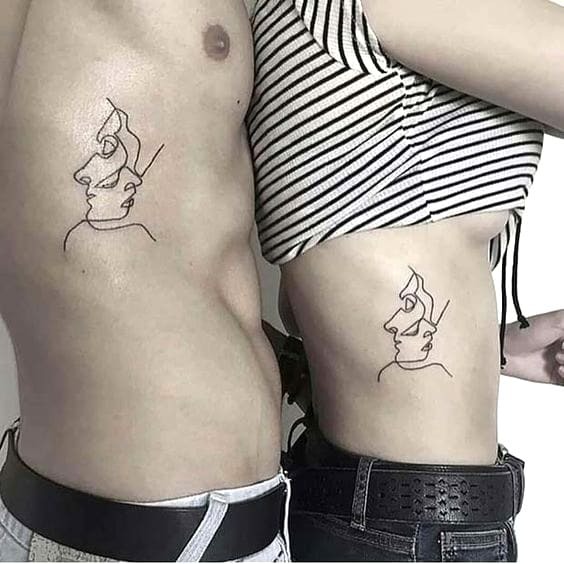 If you and your partner are art lovers, you’ll immediately want to try this tattoo trend. 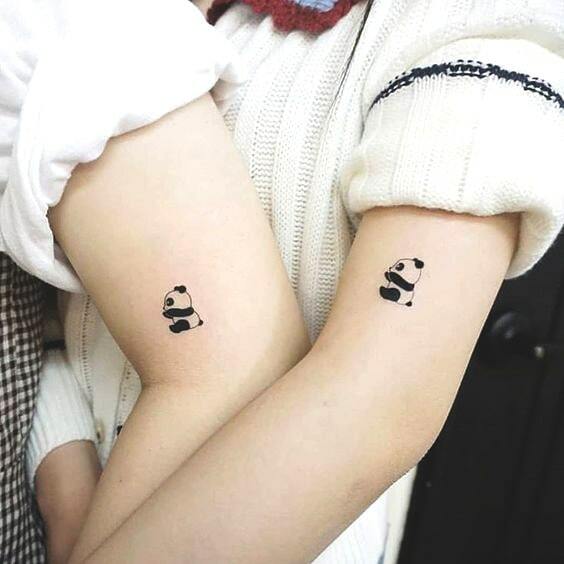 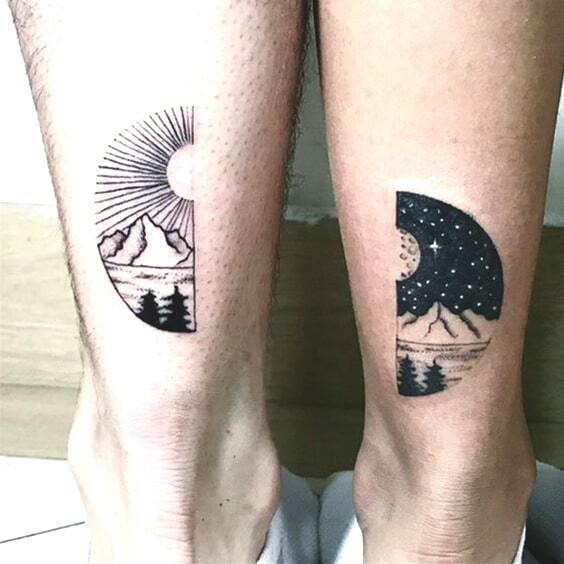 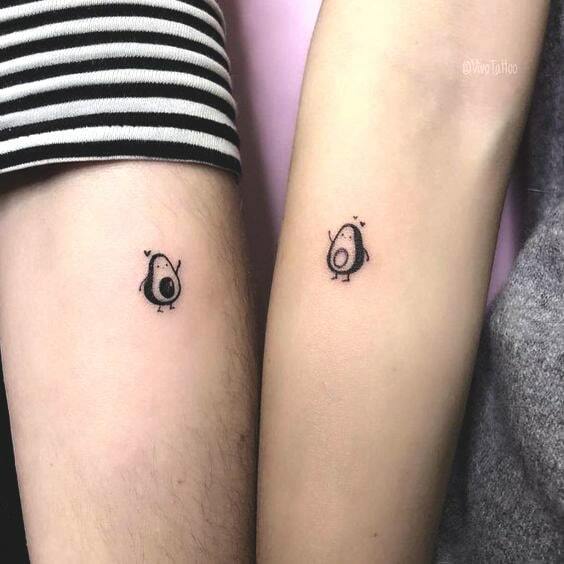 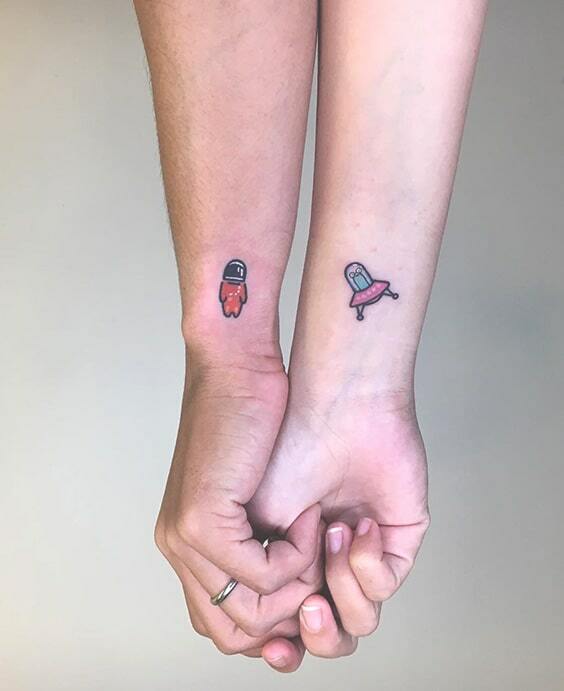 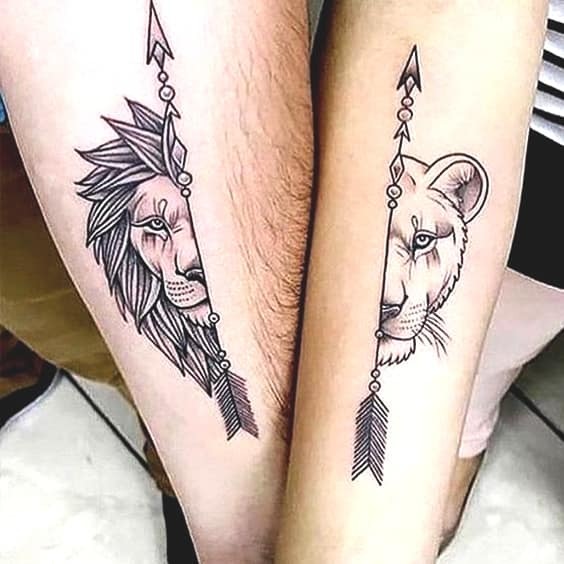 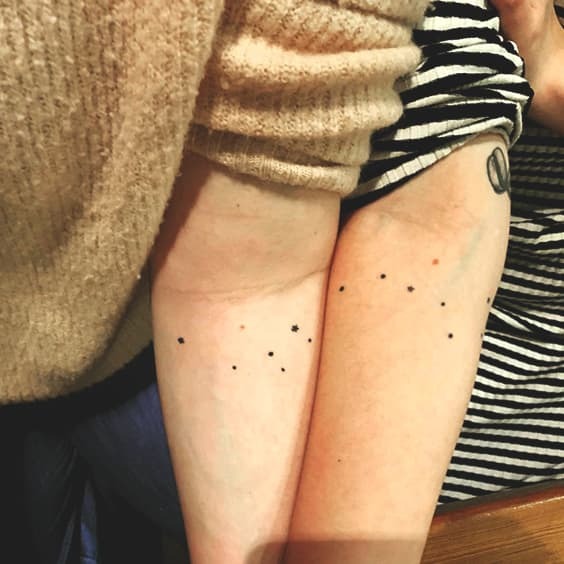 It’s so exciting that getting an artistic matching tattoo with your partner, because of the unique and fascinating look when you stand together, like art! 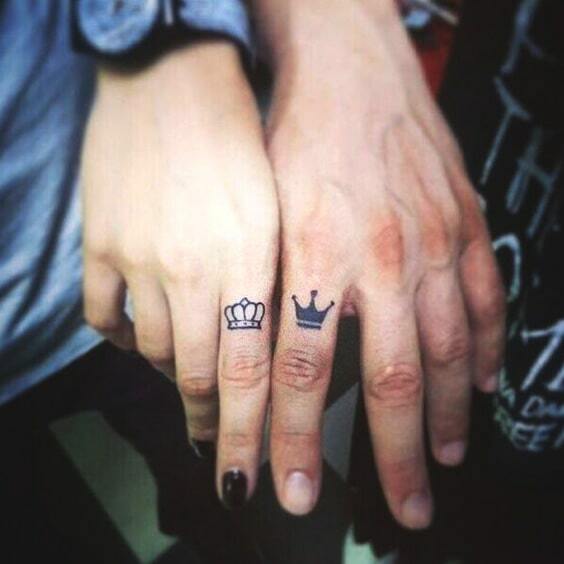 You are the king & the queen! 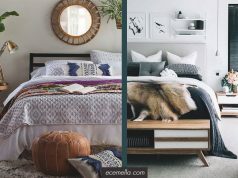 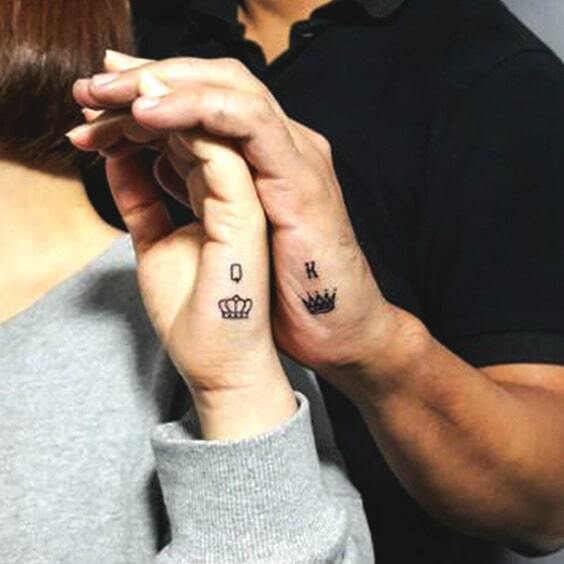 Why don’t you show your royalty-worthy love to the world? 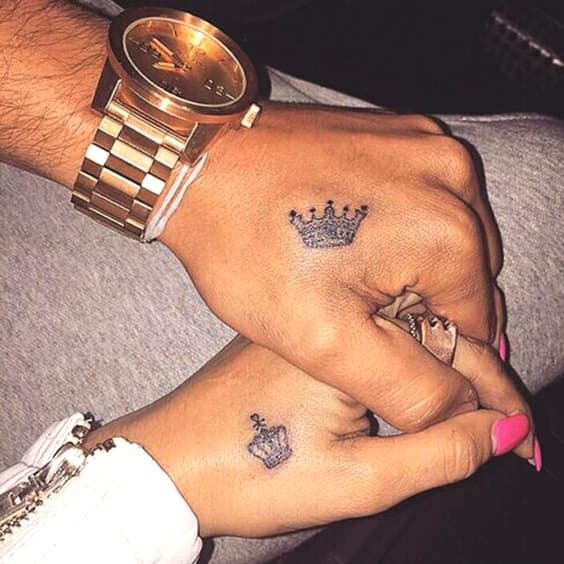 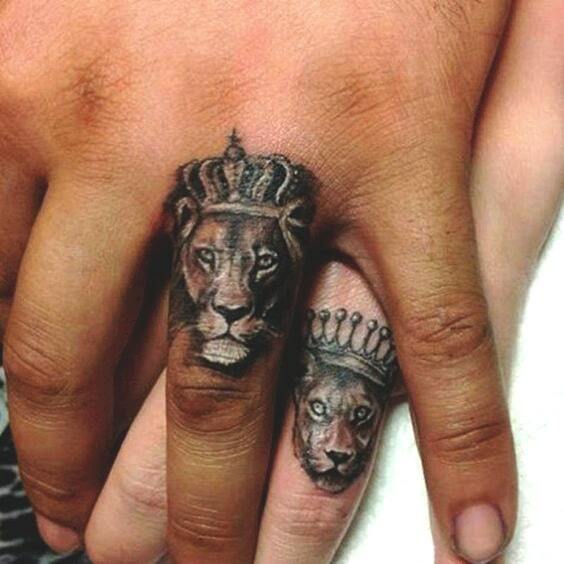 There’re so many places on your body to do the matching crown tattoos with your partner. 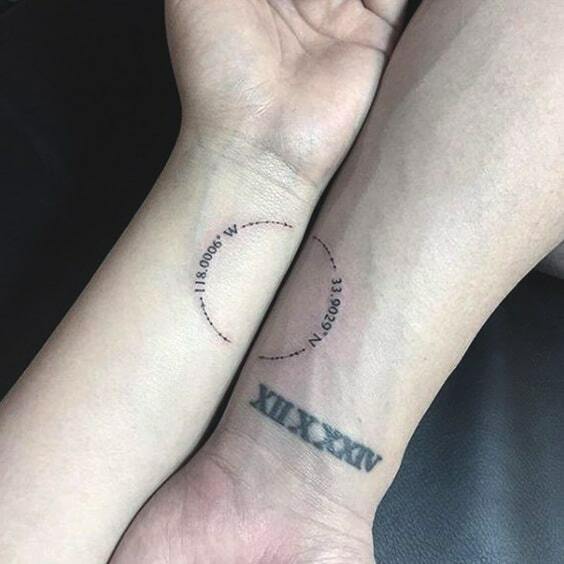 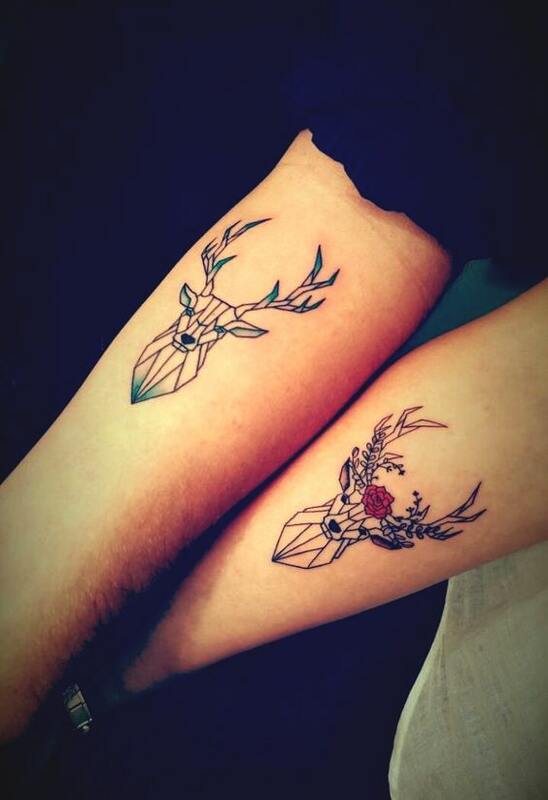 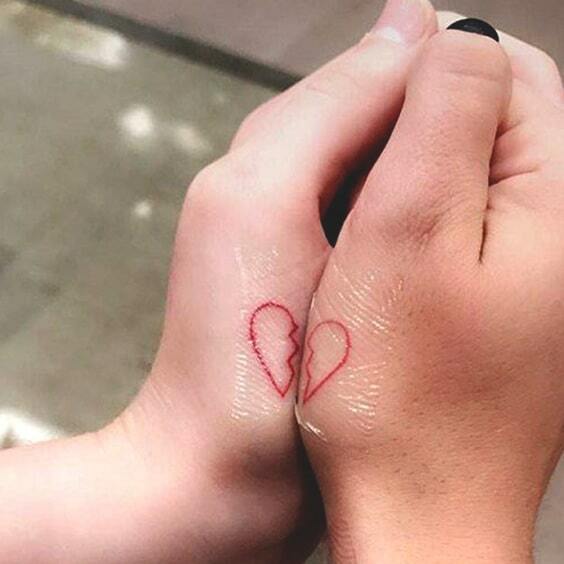 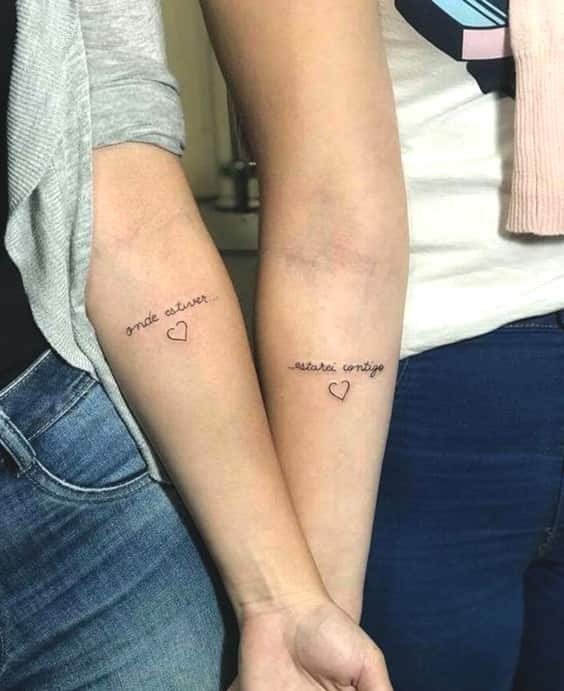 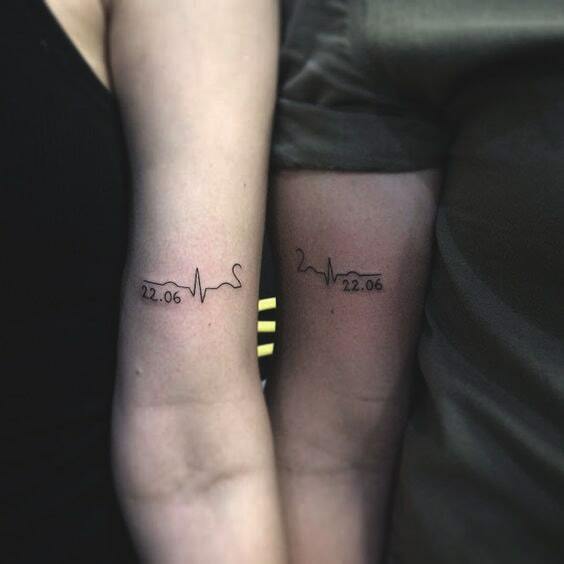 Whether a minimal or an artistic king and queen tattoo, these matching couples’ tattoo ideas are so fancy. 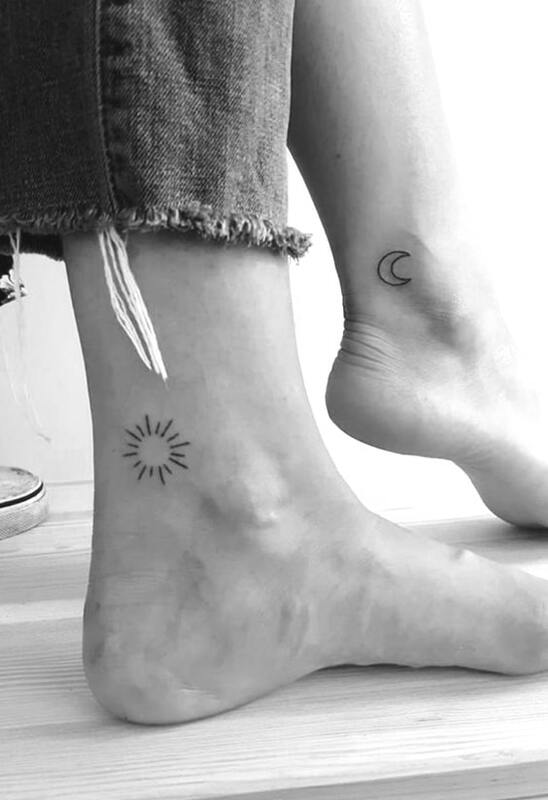 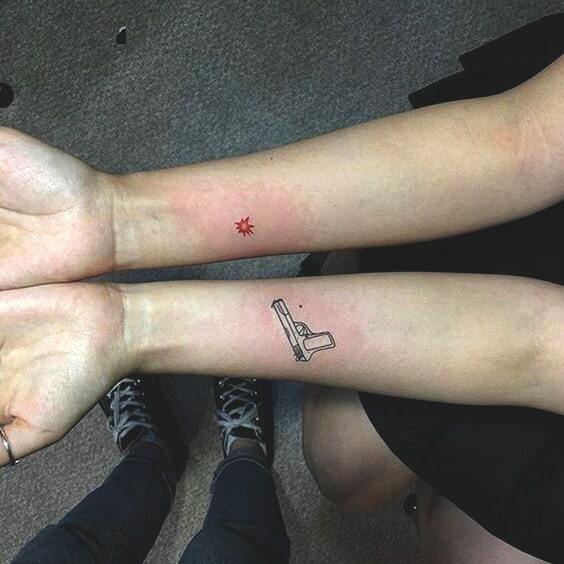 The next trend is one of the biggest tattoo trends all the time. 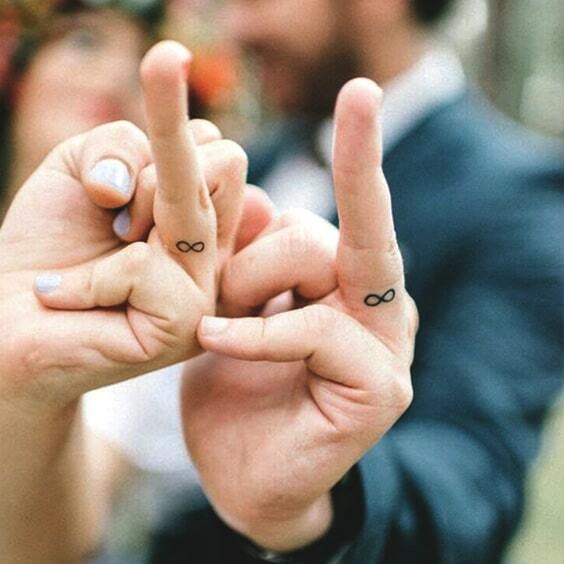 Thus, it’s so popular among couples who want to reflect their relationship as purity. 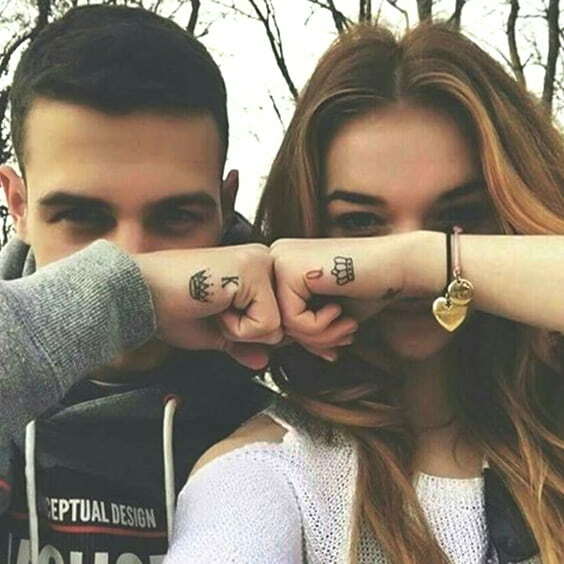 The couples, who don’t like the exaggeration in their love, mostly prefer minimal tattoos to remain in the same purity and loyalty forever. 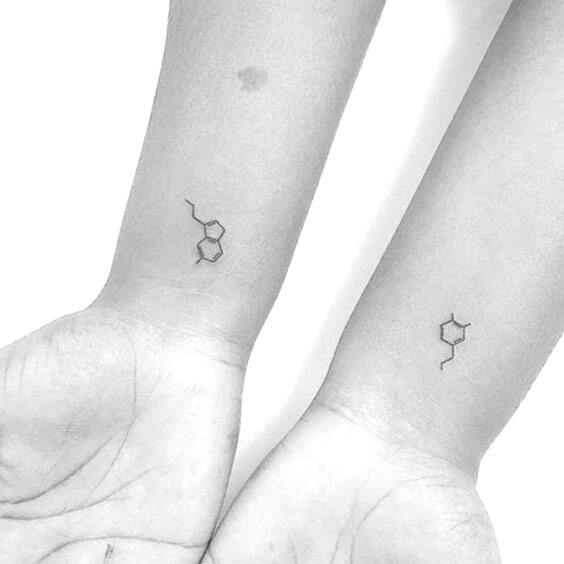 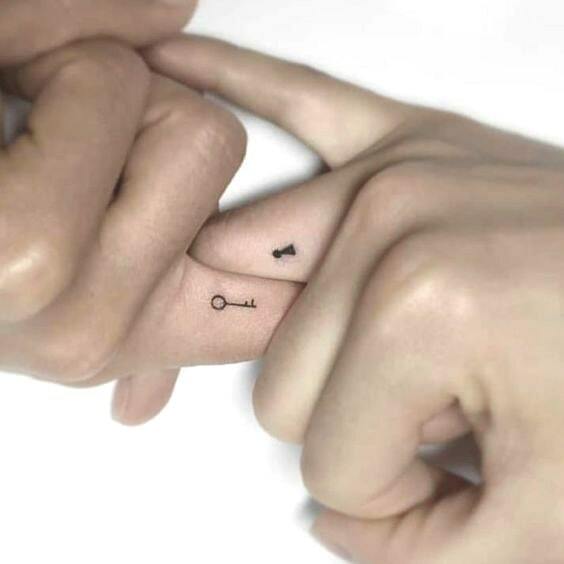 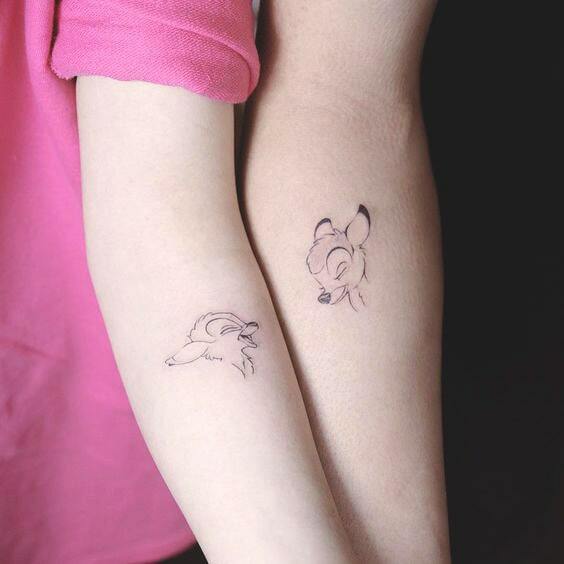 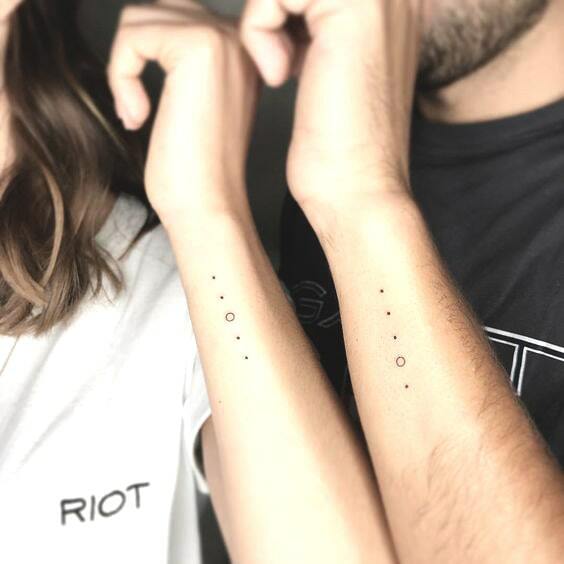 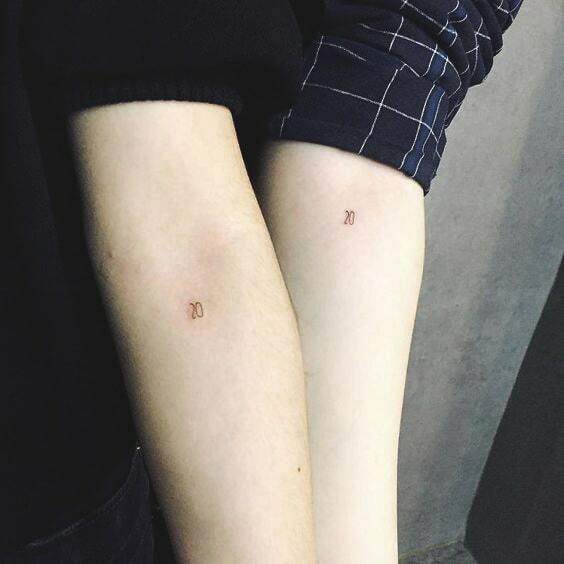 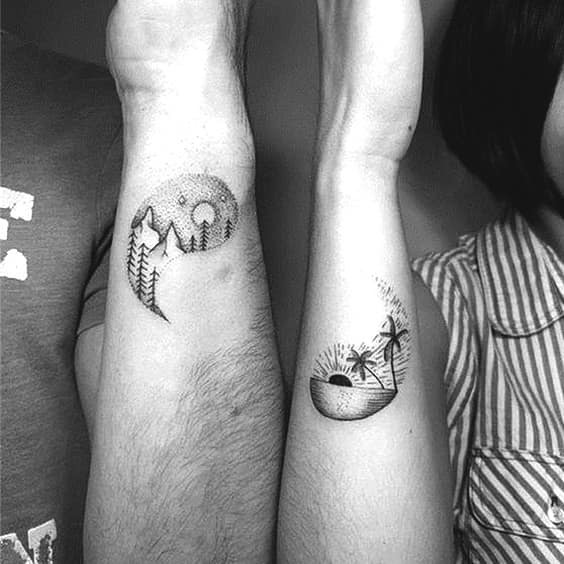 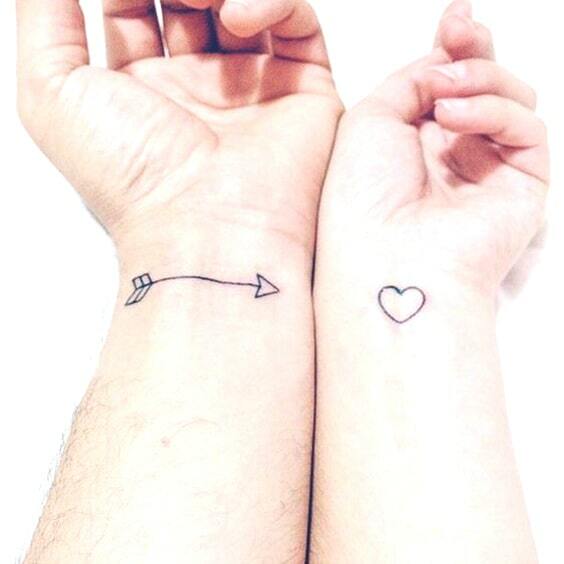 Here’s the adorable minimal couples’ tattoo ideas list for you to facilitate tattoo decision making. 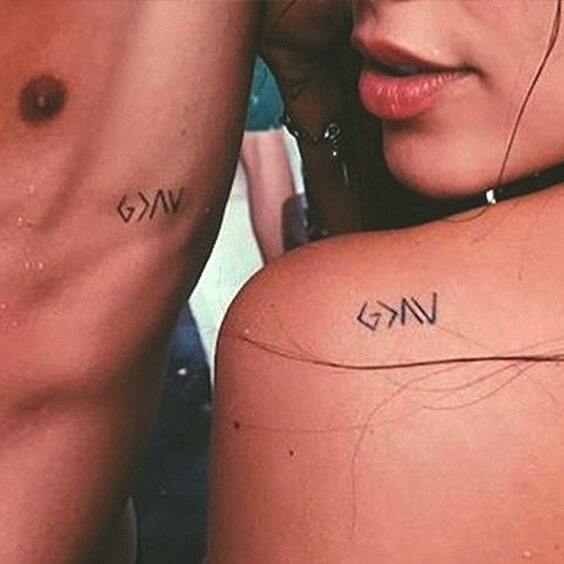 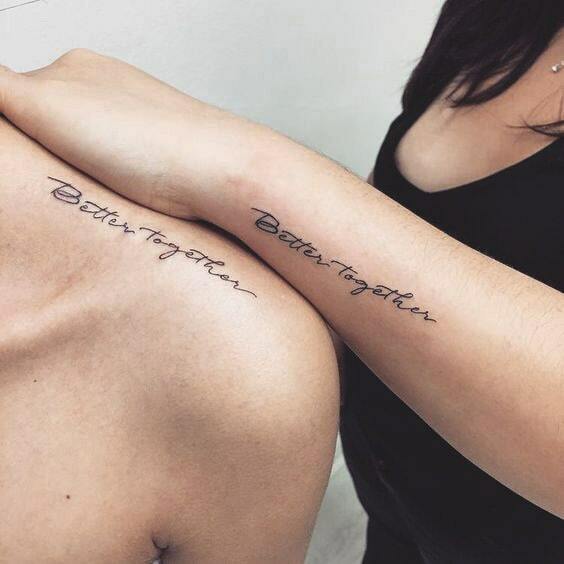 All couples want to have matching tattoos so they can make their love stronger. 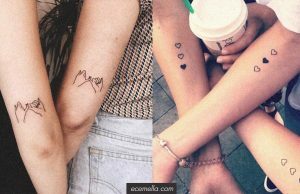 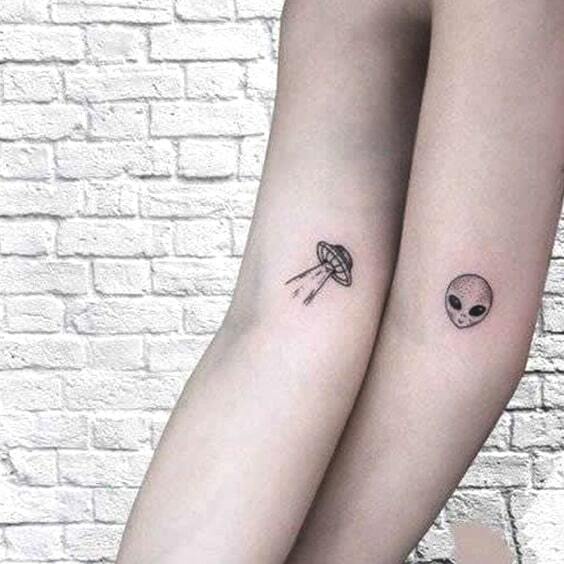 The biggest reason why matching tattoos are preferred more than other tattoo trends is that they are both cute and creative. 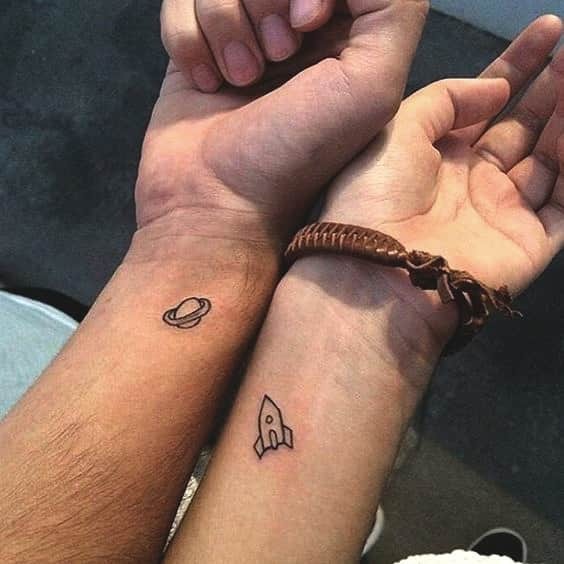 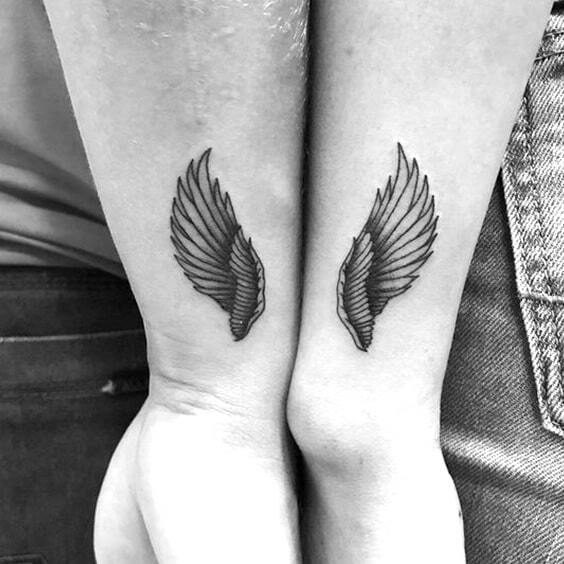 Find your unique matching couples’ tattoo with your partner from our special couples’ tattoo list. 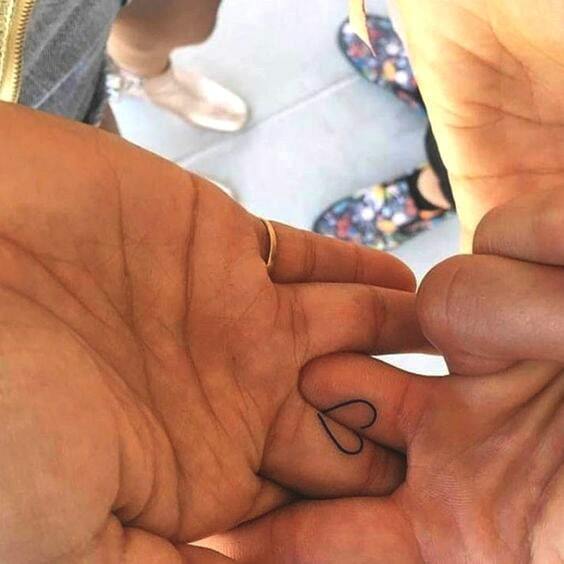 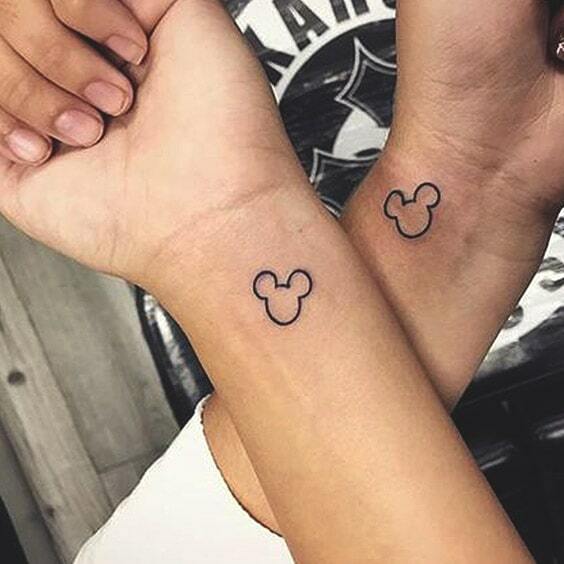 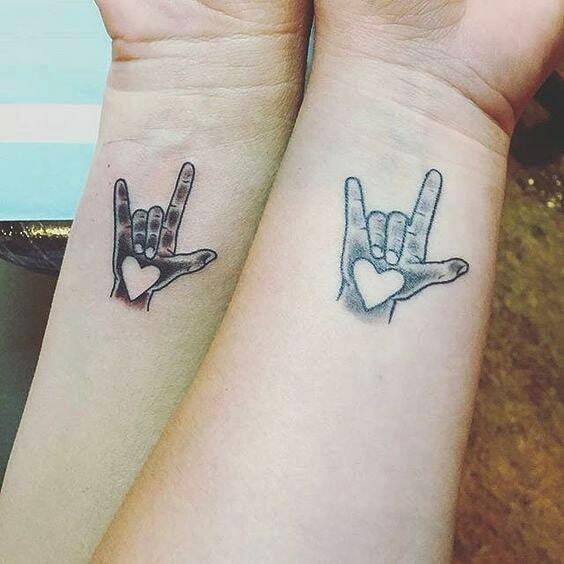 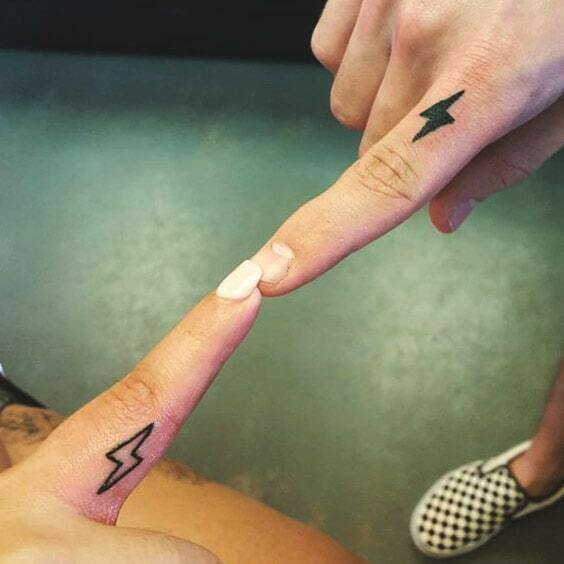 It’s the most common but special tattoo trend among the couples. 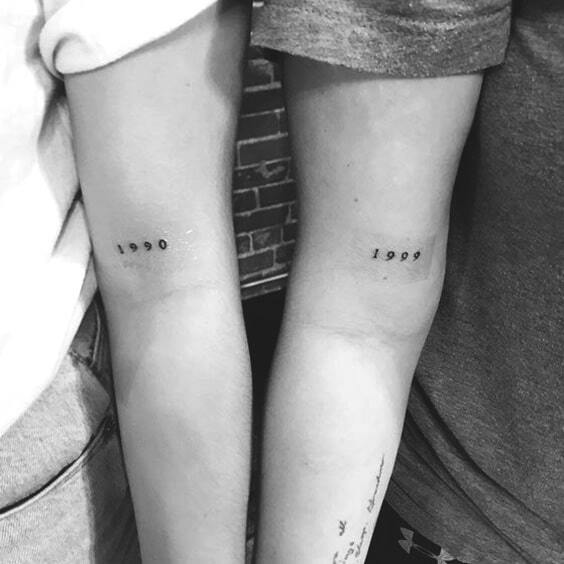 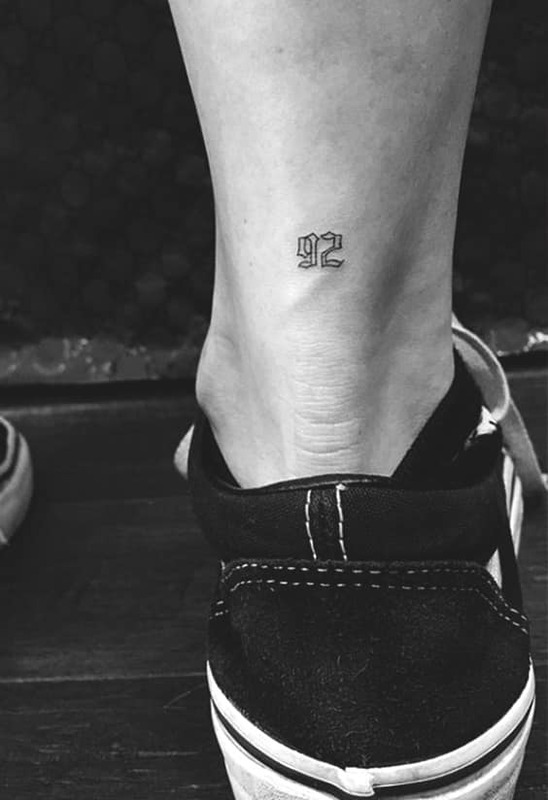 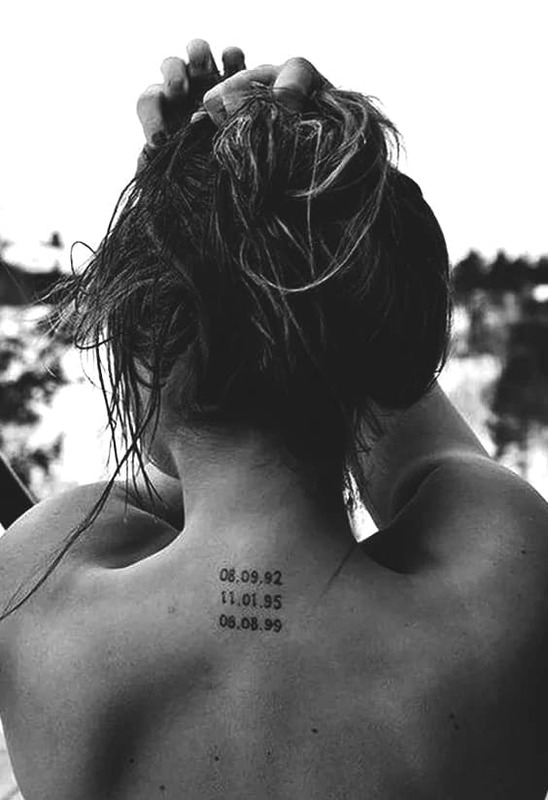 When it comes to numeral tattoos for couples, birth dates, anniversaries and special days of couples are the first tattoo ideas that come to mind. 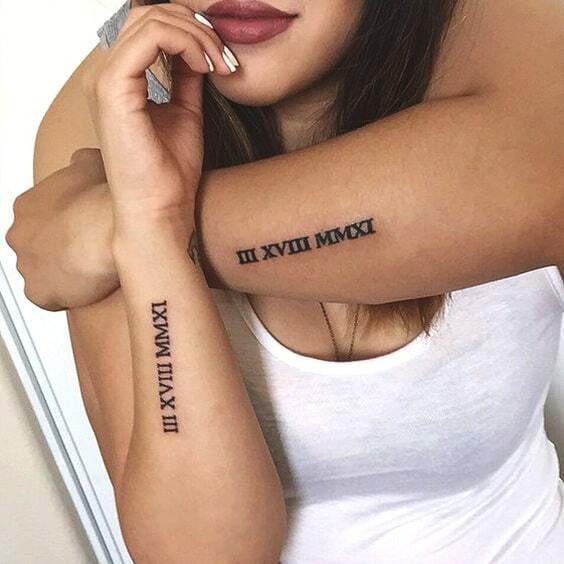 If you’re looking for a unique and cool couple tattoo idea, the roman numerals are exactly what you need. 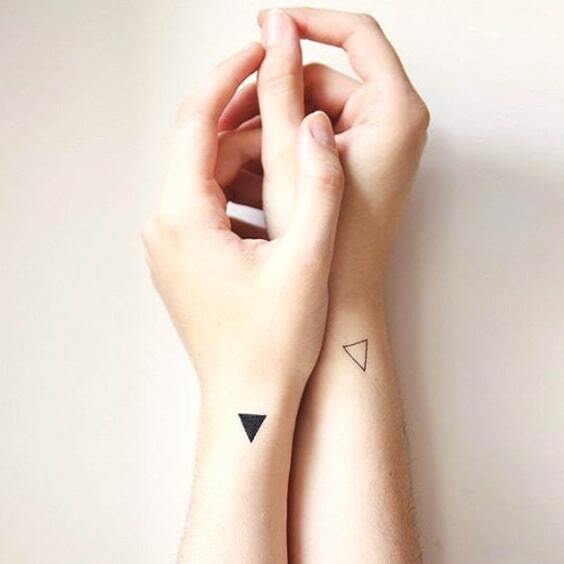 Every tattoo has a different meaning, of course, but you have to find the specific one for you. 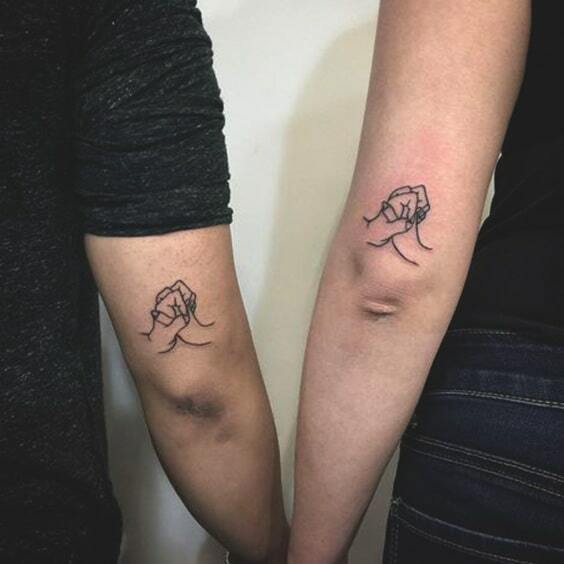 Meaningful tattoos are needed to think real hard and take a closer look at your memories with your partner. 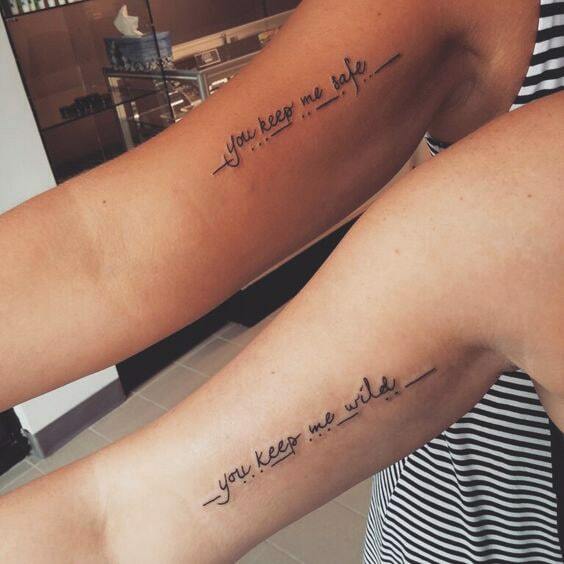 It can be a saying between you and your lover or memory that recall the happiest moment of your relationship. 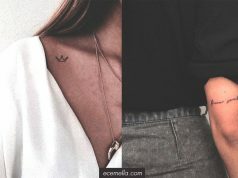 Besides, a meaningful tattoo may be a figure which reminds you of something that both you love. 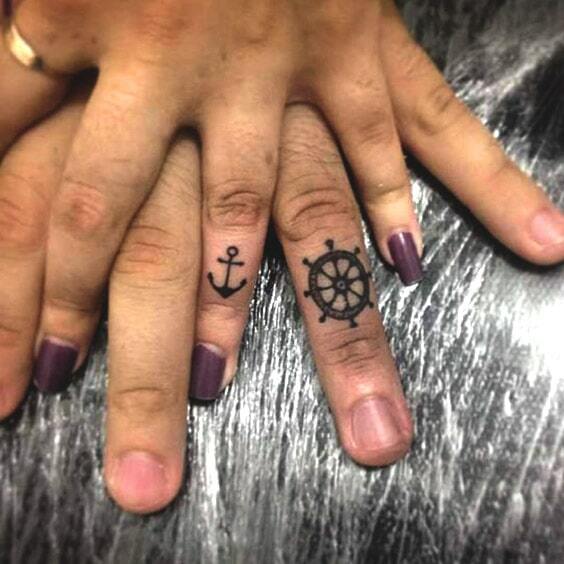 One of the most popular areas on the body for getting a tattoo is fingers. 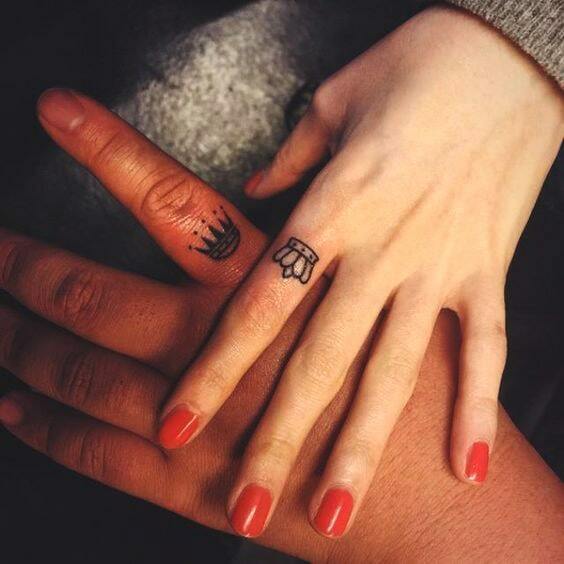 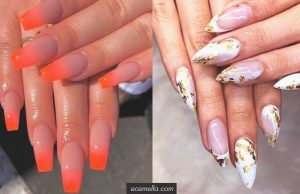 Finger tattoos are so widespread because this trend is not only minimal but also versatile. 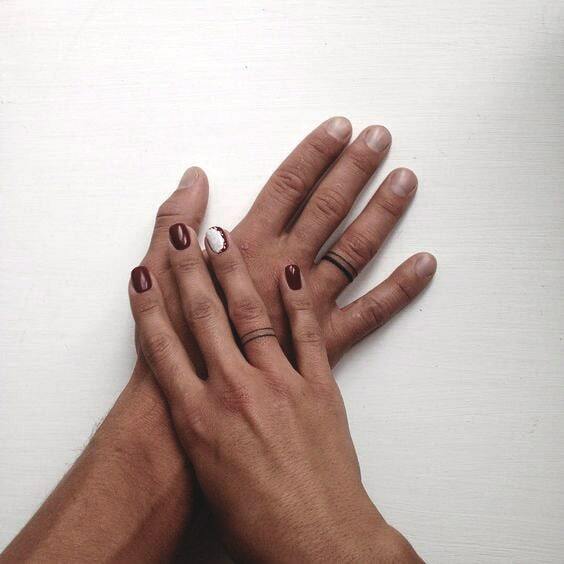 A lot of meaningful shapes and words can simply be done on your fingers. 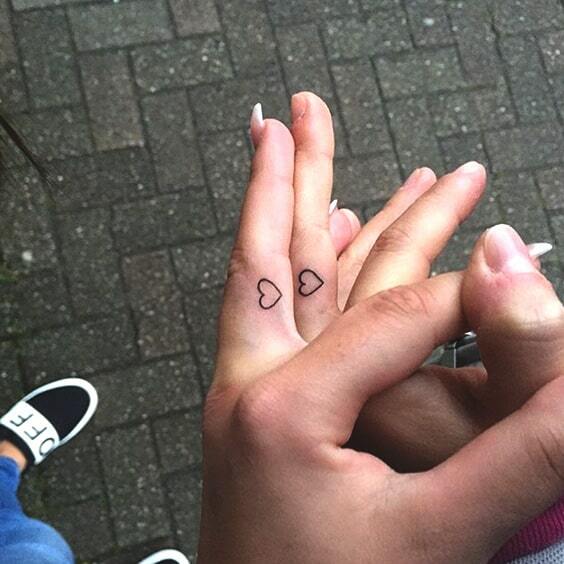 All you have to do is make the big decision in order to get your couple tattoo. 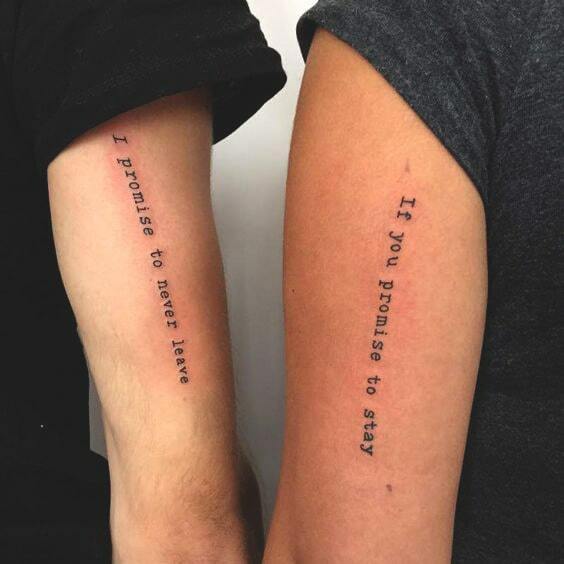 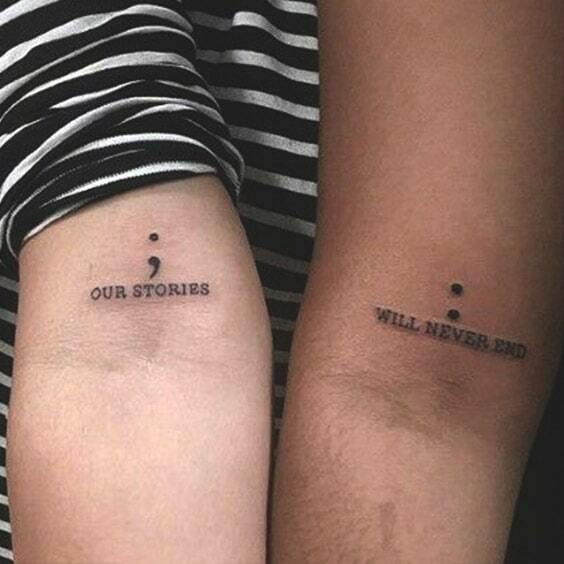 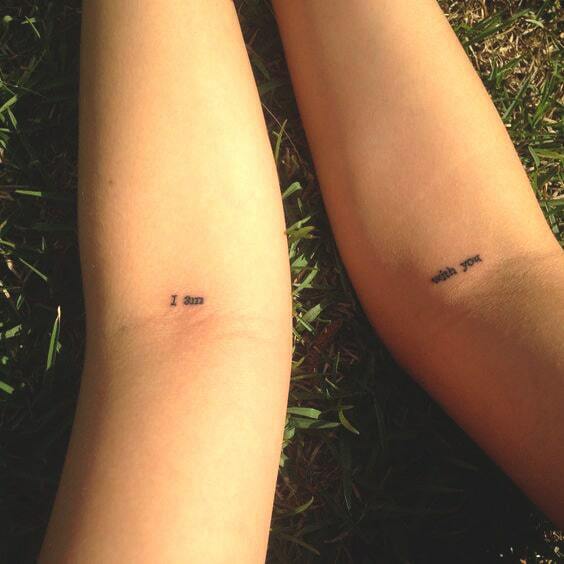 Word tattoos have a charming look on the skin, no matter the font is. 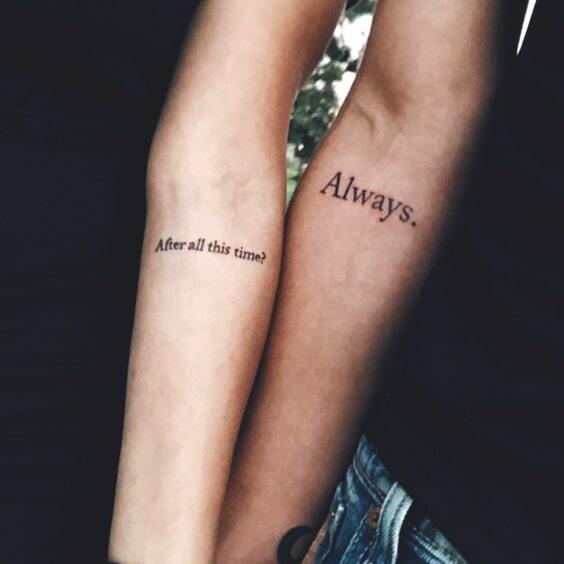 Apart from its attractive appearance, there’re lots of quotes that you can choose the best one for you. 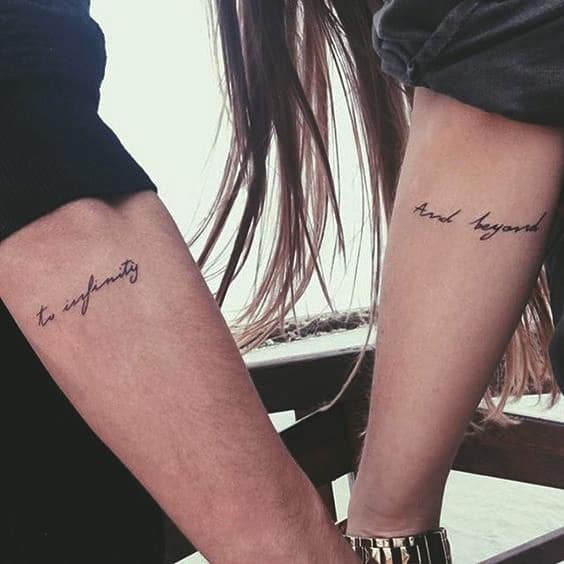 Frequently, couples choose a special quote for themselves that they want to remember forever.